Cheddarhead is the next step in AKG’s "Cheddar" lineup, following the success of Cheddarwurst 1 & 2. Cheddarhead is a mix of super fruity flavors, intense trichome production, with a marked increase in yield over the Exodus Cheese mom. Exodus Cheese is a phenotype of Skunk that was found in the UK in 1988. 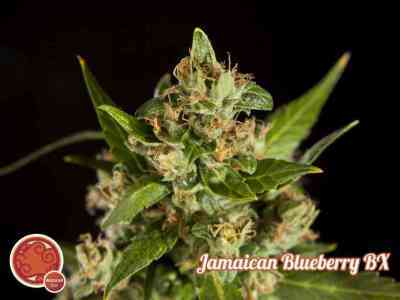 It is world famous for both its wonderfully narcotic effects as well as it's classic blueberries and cream cheese flavors. The Cheddarheads' flavors range from blueberries and grape to skittles and cotton candy. This is the cross for growers looking for fruitiest tasting hybrid, with a shorter flowering time. It is very receptive to training and SOG/SCROG, mold and mildew resistant and a very hearty grower. It has been reported that this hybrid works well for smoking just after getting off of work. While it may be sativa dominant, it seems to disable your will from wanting to complete many tasks. You still feel active and lively, but accomplishing much will prob-ably be out of the question for a few hours. The smoke is super sweet flavored, and the flowers hold a medium bud density level, making it easy to break off a bract for consumption. We recommend early supercropping and training of the arms, as some of the more Cheese dominant phenotypes tend to be a bit bushier in structure, whereas the more Snowdawg dominant phenotypes are more Christmas tree like in their build. This plant will require tying, as the buds do gain enough weight to hang down. Very heavy aroma, will stink out just about anything in a garden. Air purification highly recommended.